What’s a Tricero-stand? 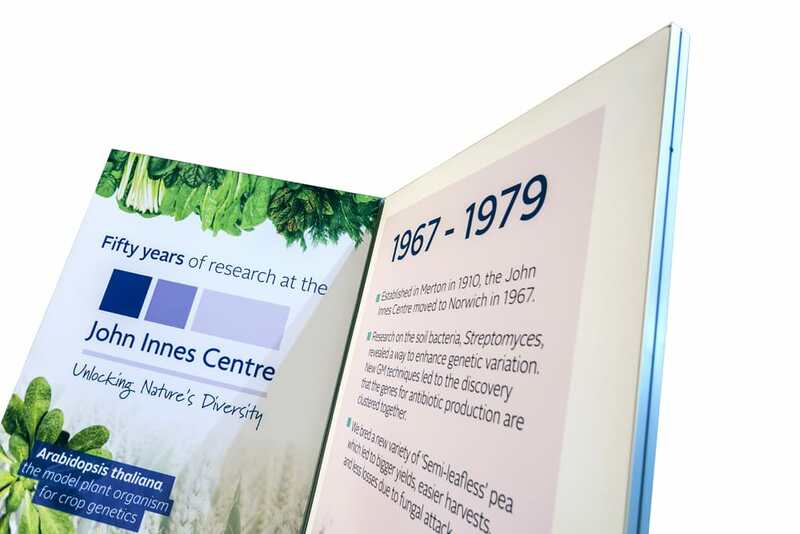 We’re not really sure to be perfectly honest – we made the name up for the purpose of this blog 🙂 But essentially it’s all about this innovative and unique stand we designed, printed and supplied for the John Innes Centre. A custom shape we haven’t configured before – the panels have a graphic on each side, allowing for six spaces to showcase your business! 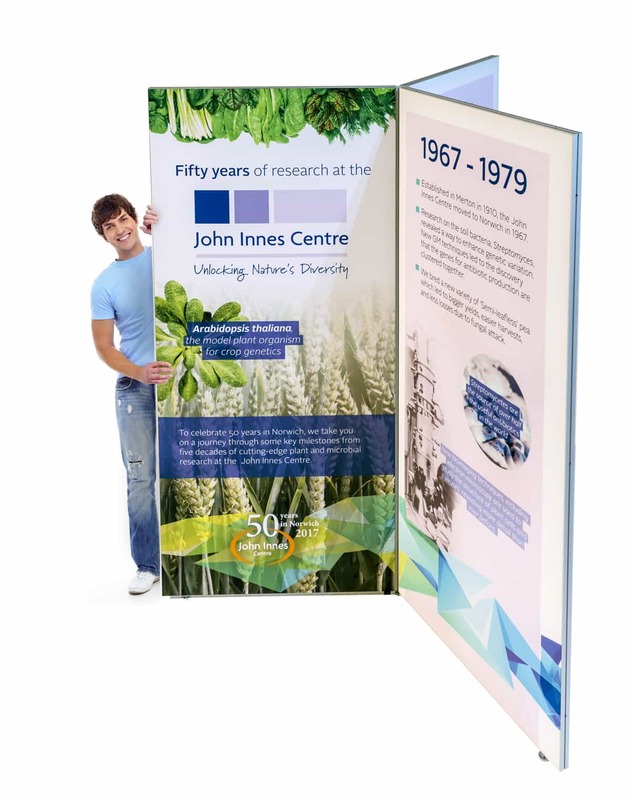 John Innes wanted to promote fifty years of research at their Open Day event and this stand was the perfect way to do so. The timeline spans all of the graphics and means that from whatever angle, passers-by will be intrigued by what you have to say. This stand is one of the newest in our range of portable display equipment. 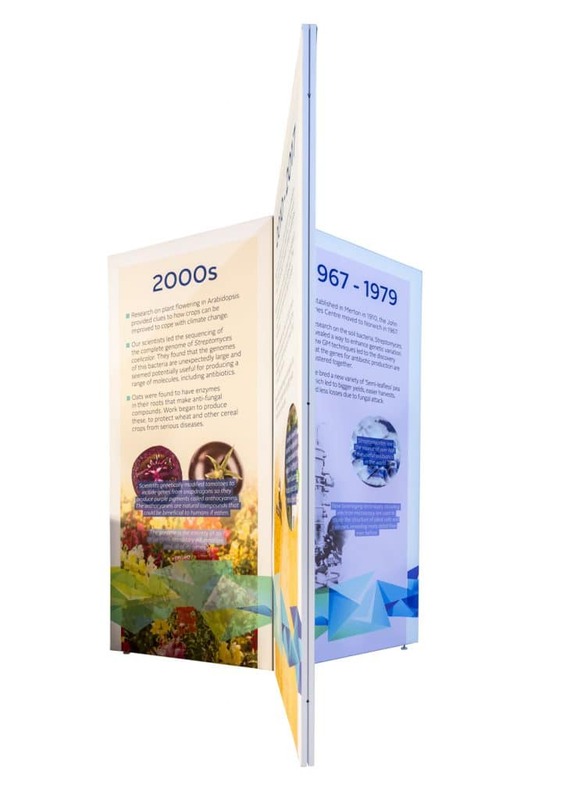 Designed by our Exhibitions expert, Duncan, the 2m tall frame uses lightweight fabric graphics – perfect for easy transport and storage. Not only did we supply the stand and print & produce the graphics, we also designed them in-house. Using images and copy supplied by John Innes, we ensured that their graphics were bold, consistent and informative. John Innes loved this solution. It perfectly exhibited their timeline and ensured that visitors would be left wanting to know more… And more they received!! 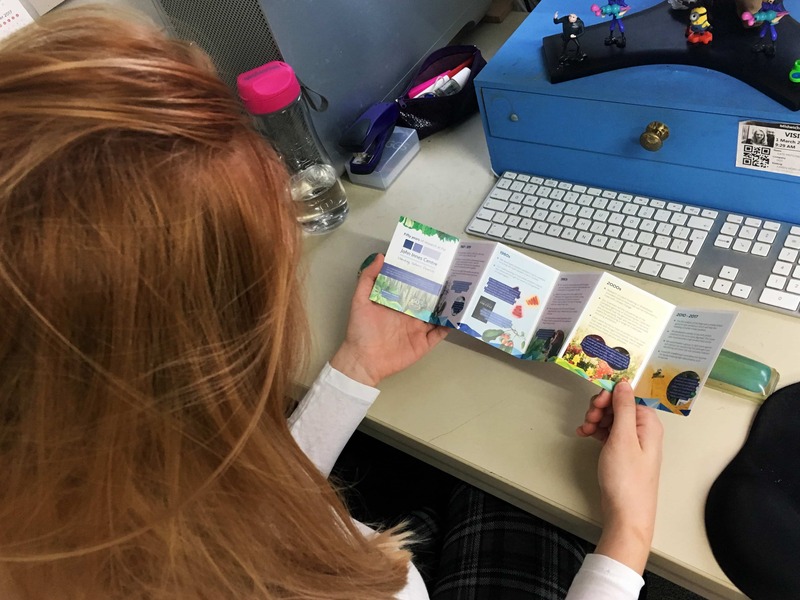 To complement the stand we also produced some miniature Concertina leaflets. A 12-sided leaflet 420mm x 90mm with the timeline on one side and beautiful, striking imagery on the other. 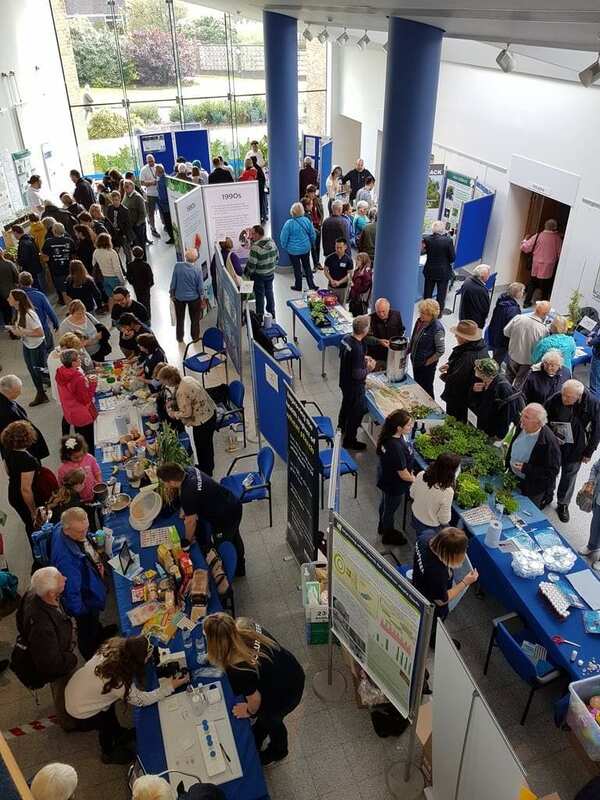 Overall the Open Day was a great success. Check out how the day went on Twitter by searching #JICOPENDAY for the full feed! 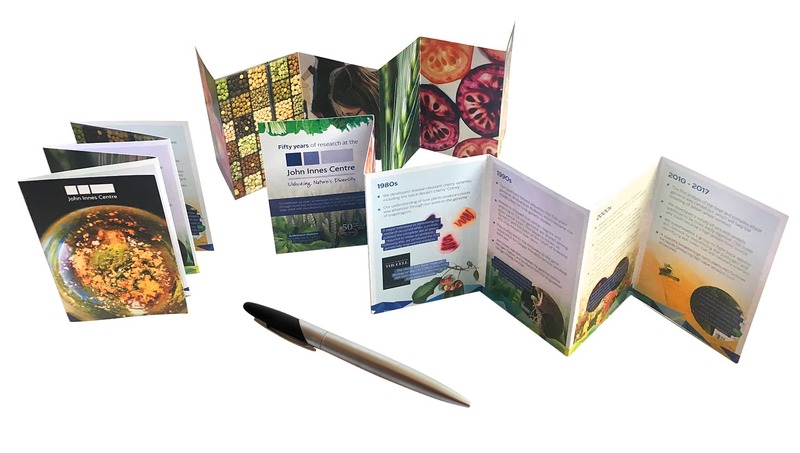 This project pretty well encompasses all that we do, providing portable display equipment, great graphic design and perfect printing, contact us now to find out how we can help to make your next event a success too. We even have a professional commercial photographer too, so any image requirements can be catered for with our years of experience and creativity.